There was a flood of articles and analyses on the tenth anniversary of invasion of Iraq on March 19, most of which focused on the lies, exaggerations, and half-truths that the War Party told the American people and the world in the run up to the war. Hundreds of thousands of innocent people in Afghanistan, Pakistan, and Iraq have died as a result of the lies. Tens of thousands of people have also died as a result of the NATO aggression against Libya, as well as the war in Syria that is backed by the United States and its allies in that region, namely, Saudi Arabia, Qatar, and Turkey, with the carnage still continuing with no end in sight. The campaign is separate from the secret war that has been waged on Iran for at least a decade, consisting of assassination of Iran’s top nuclear scientists, killing of many innocent people by terrorist groups, such as the Jundallah, and waging a cyberspace war against Iran’s nuclear facilities that even a recent NATO study recognized as being tantamount to the use of force and illegal. The campaign of lies about Iran is much deeper and broader than the Iraq campaign, far better organized, and much better funded, with the funding provided by not just the American administrations – such as $400 million provided by the GW Bush administration for destabilizing the Iranian regime – but also the Israel lobby and the War Party. The campaign also includes demonization of Iran by Israel Prime Minister Benjamin Netanyahu who has likened Iran to the Nazi regime, our era to 1938, and Mahmoud Ahmadinejad to Adolf Hitler, an outrageous claim that has been criticized even in certain pro-Israel circles. 1988: An Iranian passenger airliner carrying 290 people was shot down over the Persian Gulf by the cruiser USS Vicennes, killing all the passengers and crew, including 56 children. To cover up the crime, the U.S. lied twice. It claimed that its cruiser was in the international waters, and that the airliners had been mistaken with a jet fighter. The International Civil Aviation Organization put the cruiser in Iran’s territorial waters, and Admiral William J. Crowe, then Chairman of Joint Chiefs of Staff, also admitted later that the cruiser was in Iran’s territorial water. Newsweek magazine accused the U.S. of a “sea of lies” about mistaking a passenger airliner with a fighter jet. 1996: The Khobar towers in Saudi Arabia were bombed, killing 19 U.S. servicemen. For years the U.S. accused Iran of sponsoring the terrorist attack. But, in his book, The Secret History of Al-Qaeda, Abdel Bari Atwan, editor-in-chief of the London-based Al Quds Al Arabi, detailed the involvement of Al-Qaeda in the attack. 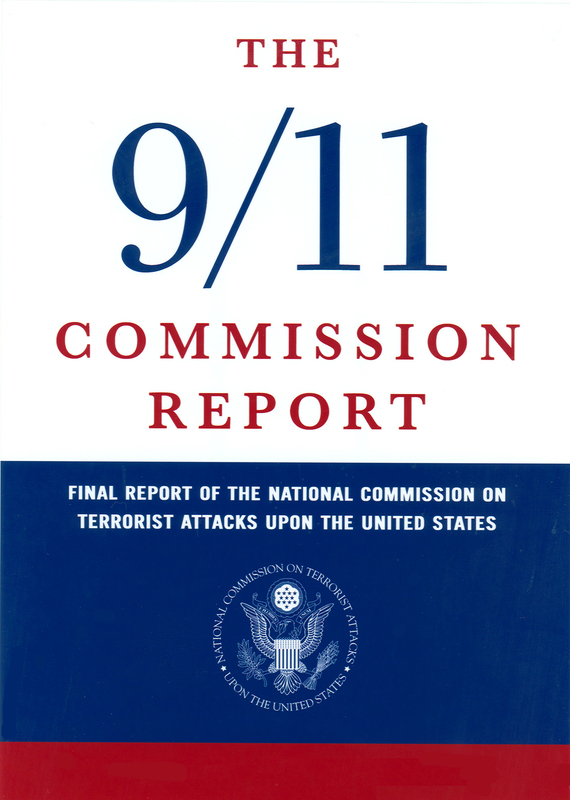 The 9/11 Commission reported that Osama Bin Laden was seen being congratulated on the day of the bombing. William Perry, who was Defense Secretary at that time, said in 2007 that he believes al-Qaeda, rather than Iran, was behind the attack, and Saudi Arabia’s interior minister Prince Nayef absolved Iran of any role in the attack. 1998: In its indictment of Bin Laden, the U.S. declared that Al-Qaeda, “forged alliances . . . with the government of Iran and its associated terrorist group [the Lebanese] Hezbollah for the purpose of working together against their perceived common enemies.” The allegation of a working relation between Iran and Al-Qaeda was repeated by Steven Emerson and the infamous Islamophobe Daniel Pipes in May 2001. 2005: Shortly after Ahmadinejad was elected Iran’s President in June, it was alleged that he had taken part in the takeover of the U.S. Embassy in Tehran in 1979. Nothing could be farther from the truth. As I discussed elsewhere, Ahmadinejad had in fact been opposed to the takeover. 2006: The Rupert Murdoch-owned Sunday Times of London alleged that Iran had tried to secretly import uranium from Congo, similar to George W. Bush’s infamous sixteen words, “The British Government has learned that Saddam Hussein recently sought significant quantities of uranium from Africa,” which turned out to be a lie. The report turned out to be a fabrication. 2007: In the same article Podhoretz also claimed that in 2001 former Iranian President Akbar Hashemi Rafsanjani had said, “A day comes when the world of Islam is duly equipped with the arms Israel has in possession … application of an atomic bomb would not leave anything in Israel, but the same thing would just produce damages in the Muslim world.” This was another lie. I happened to be in Tehran, watching Rafsanjani on Iranian television when he uttered the alleged words. What Rafsanjani said was, “There will never be a nuclear exchange between Israel and the Islamic world, because a day will come when the world of Islam is duly equipped with the arms Israel has in possession….” In other words, Rafsanjani was saying that Israel is wise enough not to want a nuclear war with Muslims, although even this correct observation of his was roundly criticized by Iran’s reformists and democratic groups. 2012: Too many false claims on Iran’s nuclear program were reported by George Jahn of the Associated Press, and others. Steven Erlanger, a New York Times reporter, was caught lying about Iran’s nuclear program. 2013: Edward Jay Epstein wrote in the Wall Street Journal that Iran can buy nuclear bombs from North Korea “overnight,” another totally absurd notion. The Israelis have also not been silent. They now claim that Iran can make a nuclear bomb in 4-6 months, another dire “prediction.” This is at least “better” than the claim in the Washington Post in 2011 that Iran could produce the bomb in 62 days. Previous Previous post: Will Congress Act to Stop US Support for Honduras’ Death Squad Regime?